Business Bay is well known as commercial Hub of Dubai and it plays a very significant role in making the United Arab Emirates a major business and trading destination. It offers the best environment for business for the individual local as well as international enterprises. It has an upwards of 240 buildings that comprises of commercial as well as residential. A new world class development for the business establishment has been conducted and individuals have advanced their business to international heights. Currently Dubai is witnessing some of the new Business Venture Hubs like Dubai Media City and Dubai Internet City however Business Bay still carries the importance above the others in this respect as it had begun only after having consultation with the top development companies of the world and it has also been seen the long term planning that UAE had with it in regards of Dubai future. It covers an total area of about 46.9 million square feet out of which 22.1 percent is taken for residential, 18.5 percent for commercial use and rest 59 .4 percent for mixed usage. Business Bay gives a true feeling of a metropolitan city that offers the business community a chance to establish its property furthermore it also offers a classy and elegant standard of living and luxurious community to its inhabitants. 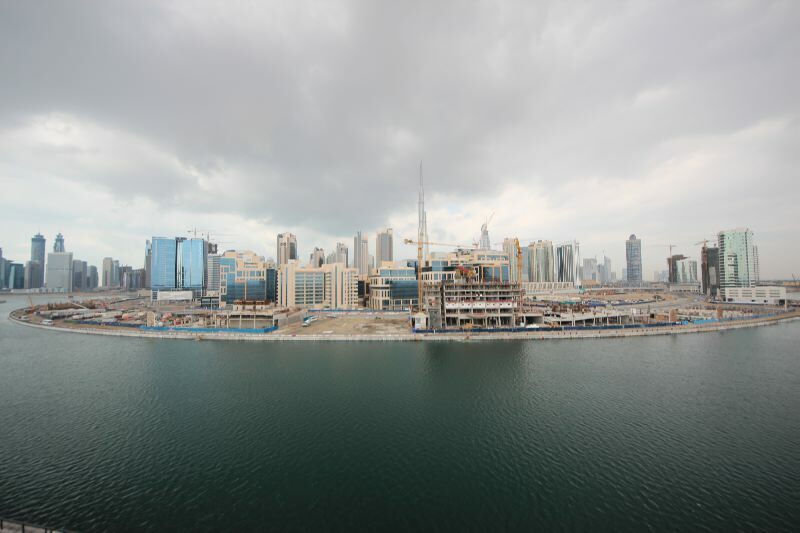 Business Bay is considered to be the fastest developing area of Dubai at a rate of 5 to 7 percent per annum. Due to its regular deals with business environment the location has become the most sought business location for the City people. Months after months almost all the business companies are looking for Business Bay offices either on sale or rent. Huge number of international as well national companies or enterprises always has an eye on the empty piece of land at the Business Bay for the set up of their own commercial world. Due to this there is an increase in the demand which is unable to meet by the current running projects thus the construction at Business Bay is growing at a rapid pace. It is also featuring some elegant roads and pathways that adds to splendour of the area and in turn put up a great appeal to local, national and international Business Community. Business Bay is located at Dubai Creek just next to the down town Dubai and goes along from Ras Al Khor to Sheikh Zayed Road with its towers being house and host to international firms and finance companies of Dubai along with that some International Hotels are also on the Sheikh Zayed Road.